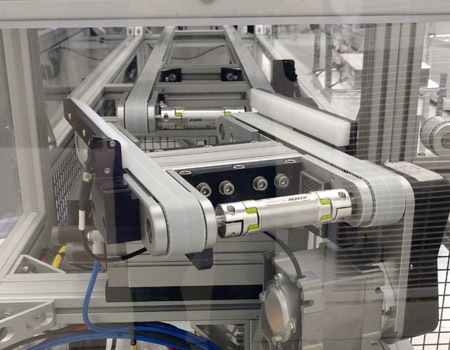 Assembly Automation | Robotic Assembly Manufacturing - JH Robotics, Inc.
JH Robotics has designed and built many complete assembly lines for the automotive industry as well as other various industries. These systems have various types of material handling equipment including FANUC robots (as many as 12 robots per line), gauging and inspection, palletizing, material removal, vision, marking, pressing, dispensing, painting, and washing / drying cells. These systems included all processes required to deliver an assembled and inspected product that was palletized at the output. JH Robotics was involved from the initial design concept, to the installation, and testing on the customer’s floor. This allows our well rounded engineering disciplines that JH Robotics has to complete projects of this magnitude. JH Robotics engineers write, design, and build all the software, hardware, and control panels for the Robots, PLC's, and HMI's in house. We are flexible enough to use your preferred PLC and HMI manufacturer, or we can select the best option for your application. We have experience with manufacturers such as, Allen Bradley, FANUC, GE, Koyo, Modicon, Siemens, and various others. Many of the robotic assembly lines we design for our customers are designed to handle families of parts. 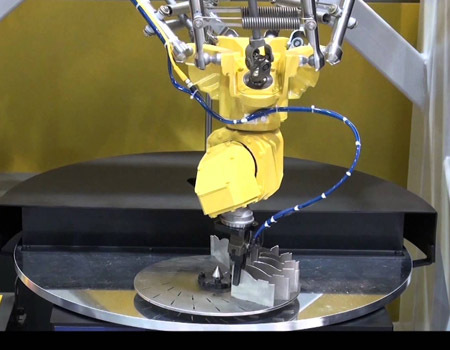 JH Robotics can design the tooling and equipment to match and exceed the customers specified cycle time and change over. Our team of engineers, designers and integrators have the experience to successfully integrate assembly robots into your manufacturing process. With over 30 years of experience in the robotics field we’ve become the experts that manufactures rely on when it comes to automation. Call us today at 607-729-3758 or visit our online estimate form to get started on making your company more productive, more profitable, and running lean.